Despite modern indoor play areas, play is still mainly an outdoor activity. To stay cool when playing outdoors during the summer, shade is essential. 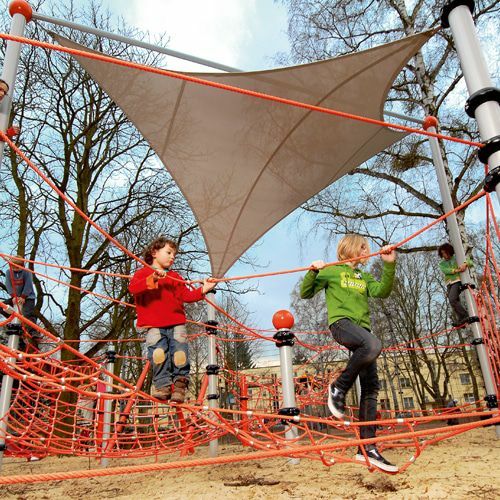 Terranos.Shade is a onepiece system that harmoniously integrates shade into the play structure. Terranos. Shade is suitable for all-weather use.